World War I considered a significant milestone and central events at the history of the twenty century. Jewish communities in different fight zones faced new problems that the new reality of the war created. 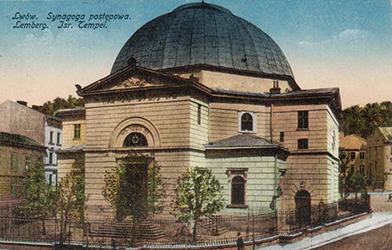 Among these communities were Galicia Jewry, an eastern European geographic region that until World War I was part of the Austrian - Hungarian Empire and Jewish communities in Bukovina area. Already at the beginning of the war, Galicia & Bukovina Jewries had to deal with new and unique realm and new challenges. Some of these challenges were a result of the war and some of the challenges were continuation of pervious circumstances. Hence based on understanding the unique character of Galicia & Bukovina Jewry, and the controversial reputation of Galicia Jewry, as had been developed at the years previous the war, this class will examine the old and new challenges that Galicia & Bukovina Jewry faced and the fundamental political cultural and social changes that these communities experienced during the war. Historic photography is not just a nostalgic remnant or an illustrative accompaniment to the written word, but a most valueable historical source. Such a source contributes to new historical understanding that otherwise is missing from the literary sources. In the framework of this course we shall focus on the contribution of photography to the research of history through the particular case of the Galician Jewry, a branch of historical Polish Jewry that was ruled by the Habsburg Empire between 1772-1918. By analyzing Galician Jewry's photographs and comparing them with Jewish photographs from different communities in eastern and western Europe, we shall seek to characterize the unique version of this diaspora community. This course will discuss the teachings of Rabbi Zvi Hirsh Eichenstein of Zhidachov and his followers, as a part of the ideological and social movements in the 19th century Galicia. Through the course, we will learn how creative commentary of Lurianic Kabbalah, and their unique leadership. We will also discuss the bitter dispute between them and the Galician Maskilim. 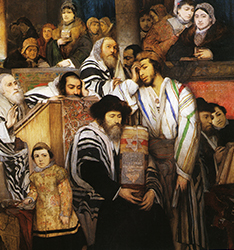 The rapid political, social, and cultural changes that swept through Europe in the Modern Era posed a crisis for the Jewish communities living in its midst. Under these circumstances there emerged a widespread debate among leading Jewish thinkers regarding the essence of Judaism, its ability to adapt to modern times, and the desirability of its doing so. Especially fascinating was the course of this debate in Galicia, which served as a cultural intersection between East and West European Jewry and a battle zone between traditional and liberal elements in Jewish society. This course attempts to trace the literary struggle of Galician maskilim, scholars, and thinkers over the future of Judaism, a struggle waged via both satiric and scholarly means.